The congregation of Mt. 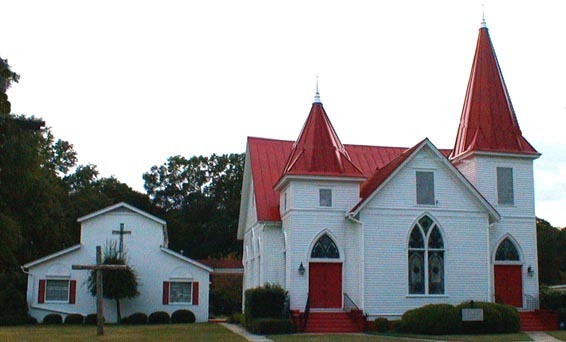 Zion - St. Luke Lutheran Church has been a Lutheran presence in Macon County since the early 1800's. Located at 401 North Randolph Street in Oglethorpe, we are members of the Evangelical Lutheran Church in America (ELCA); www.elca.org, and ﻿the Southeastern Synod of the ELCA: www.elca-ses.org. We are a joyful, Spirit-filled community of faith that consists of a wide range of people from all over the Middle Georgia area. We are people of all ages and faith backgrounds. All are welcome at Mt. Zion - St. Luke! "We are called to seek out and invite all our neighbors to experience the love of God and the joy of Christian fellowship." Come! Join us in our Mission! If we are not in, please leave a message and we will return your call as soon as we access our voicemail. Copyright 2018 Mt. Zion - St. Luke Lutheran Church. All rights reserved.